Can you please introduce SERENITY to our readers? Who is actually in the band? 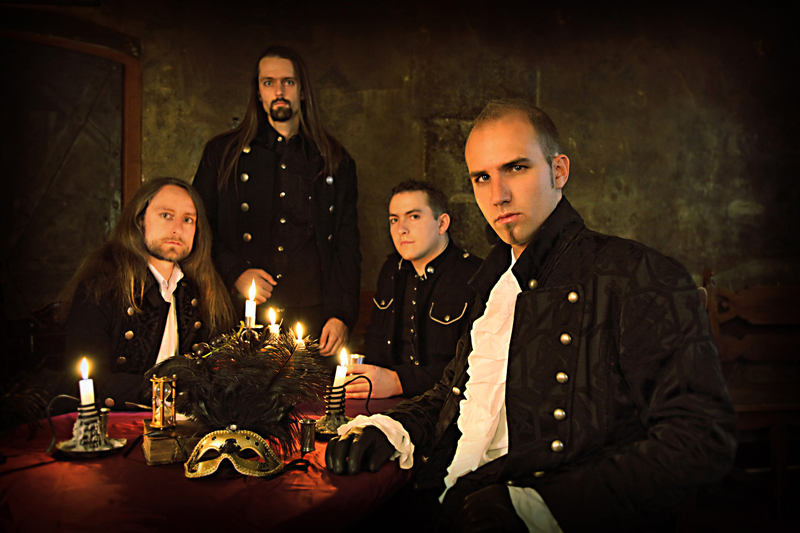 SERENITY is an Austrian Symphonic Metal band that was formed in 2004. We’ve done 6 european tours so far with another one coming in April/May this year and released 3 albums so far! The band consists of Georg Neuhauser (lead vocals), Mario Hirzinger (keys, backing vox), Andy Schipflinger (drums, backing vox), Fabio D’Amore (bass, backing vox) and me (Tom Buchberger – lead guitars & main composer)! “Death And Legacy” is a journey through history, why did you pick this theme for the new album? Georg studied history at the university of Innsbruck in Austria. So he came up with the idea of the historic theme. Mario and I wanted to do a concept album and as we are interested into a lot of different stuff we immediately said OK – lets do it… We did a lot of research and in the end came up with the lyrics dealing with historic figures and their stories. From where do you get the inspiration to write new songs? Most of the time ideas just pop out of my mind. Sometimes while watching a movie, playing a computer game, sitting on the toilet, jamming with the guitar, working in Cubase,… So I cannot really tell you the exact inspirations as there are plenty of them! How was studio work for the album and how long have you worked on the album? Studio work was not the hardest task as we do a lot in our own home studios. But the songwriting itself was very challenging!! We just wanted to make it perfect! It took us about 2 years (next to touring, etc.) to complete the whole album! But when you hear the album you got an idea of how huge such a production can be! It was all worth it!!! SERENITY has with Fabio D’Amore a new bass player since last year. How did you meet Fabio and why did you choose him? Georg did some guest vocals on the latest Fairyland album and the recordings took place in Fabio’s (Pathosray/Fairyland) studio in Italy. When Simon left Georg suggested to call Fabio as he was extremely enthusiastic and absolutely into our kind of music. So we did some rehearsals and he was as prepared as can be. We were impressed indeed… There probably would have been some other options, but I cannot think of anybody else being so into music at all. Why did you choose to work with Ailyn (Pilar Giménez García), Amanda (Somerville) and Charlotte (Wessels) to have 3 different female guest singers on the album? We wanted to have different female singers for each of the songs we’ve chosen! First of all it would be unlikely that any guest singer sings several songs on an album — I mean… it’s not their band! You have less problems with the record labels they belong to. And it would have been a little monotone with only one guest singer on several songs. So variety is the key! Of course there is also the effect of marketing. 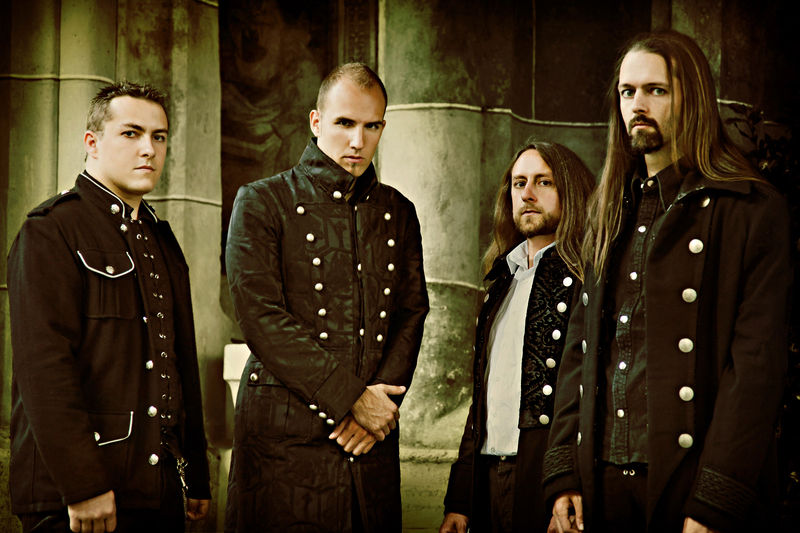 They all have a loyal fanbase from SIRENIA, AVANTASIA/EPICA/KISKE or DELAIN. Do you plan on making a live DVD? Not anytime soon. We discussed the possibility of it. But therefore we need to get a much higher state and need to gain a bigger fanbase! And we are always eager to get a highest quality product from cover artworks to sound, pictures,… Right now such a project would ruin the band in terms of financials! How serious do you take album reviews and critics?Hard to tell… Of course we are always happy when a journalist likes the album and gives a high rate! Luckily most of our ratings are fabulous! But in the end the people have to check the sound on their own as one person can never speak for thousands. So I guess those ratings and critics are overrated They only give some hints of the sound in general and always compare to bigger names. 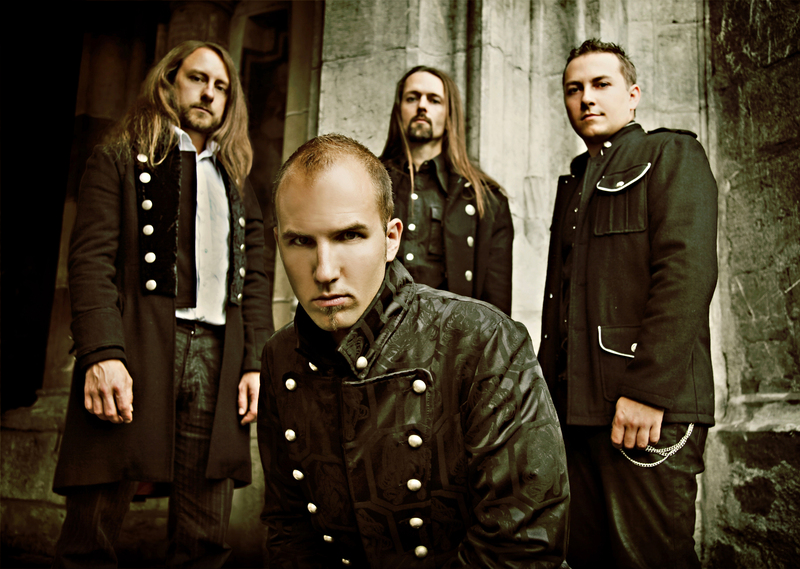 So we most of the time are being compared to Kamelot, Sonata Arctica, Nightwish, etc. How are the chances for a US-Tour? We would really love to tour the US and we are looking into all possibilities and already negotiated with different booking agencies and other bands. In the end it was not possible till today because of the costs and our – not yet huge – fanbase. But we really try hard to make it there! The better the album sells, the better the chances therefore!